Every year, people tend to throw the same old stale birthday parties for their family and friends. Part of the problem is that they start having difficulty coming up with unique birthday party ideas. When this happens, it’s a great time to consider renting a birthday party bus. A birthday party bus definitely provides a unique experience and it comes with many advantages. Some of those advantages include elimination the stress that comes with providing transportation and being able to show the birthday person a unique level of care by coming up with the idea. In order to throw the consummate birthday party, there are few tips that need to be considered before renting the party bus. Plan Ahead – Birthdays only happen once a year and party buses are a popular commodity, especially on weekends. It is critical to plan ahead and secure reservations for your birthday party bus as early as possible. The day before the event, you need to verify that everything is on schedule. Headcount – You want to make sure you have a solid headcount before you begin your search for the right birthday party bus. They tend to come in a variety of sizes and you may need the time to contact several rental companies before you find one that is able to accommodate the size of your party. You will also want to consider the relevant age group of the party-goers. If the bus is intended for a kids party, you will want to verify that the rental company is willing to accommodate that age group. There may be some liabilities that need to be considered. 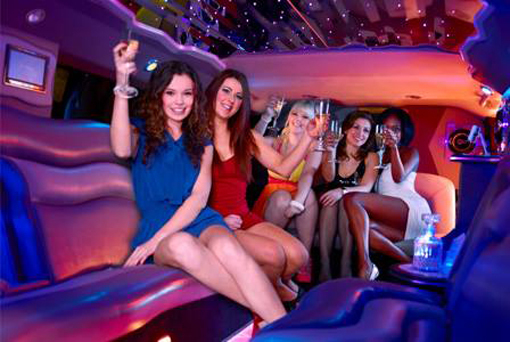 Amenities – It would be a good idea to go online and research the different amenities that are available on party buses. Popular amenities include a dance floor, DJ booth, walk-up bar, on-board restroom, a nice sound system, jacuzzi and a lounging area. Theme and Decorations – As you are interviewing perspective rental companies, it’s best to have a clear idea of what type of party you are wanting. The rental company needs to be aware of whether or not there will be any forms of entertainment and what type of decorations are being considered. You will also want to clarify who is responsible for decorating and cleanup. Details – When you are close to signing a rental agreement, you want to make sure everything is clear about the timing, the price and the expected amenities. Take the opportunity to do a reference check to verify the company’s reputation and insurance, and ask to see the party bus in advance. If there is a possibility you might want to extend the time of the party, you have that discussion prior to signing the agreement in order to avoid any misunderstandings. Nothing is going to unravel a birthday party bus experience quicker that hassles and possible legal issues. Finally, you want to make sure you understand the rules regarding alcohol and guest behavior in advance. A birthday party bus experience is not something that happens everyday. With the proper preparation and planning, the event should go off without a hitch and the birthday person is going to remember that special birthday forever.